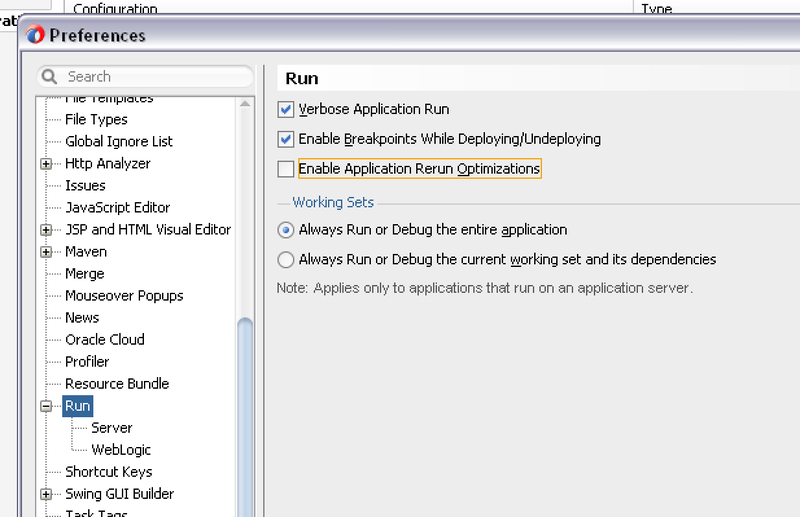 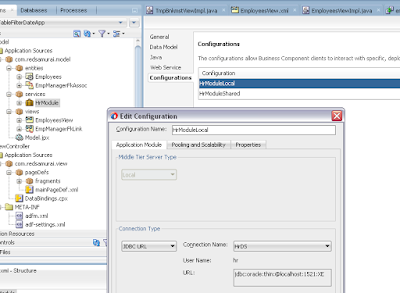 One of the common use cases in enteprise applications is to track concurrent user changes. 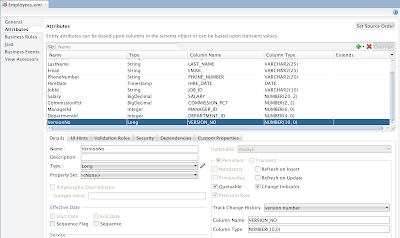 There are two types of changes possible - when two real users are changing data in the same row, or when single user is changing data and same row is updated by PL/SQL procedure/function (all happen in the same user session). 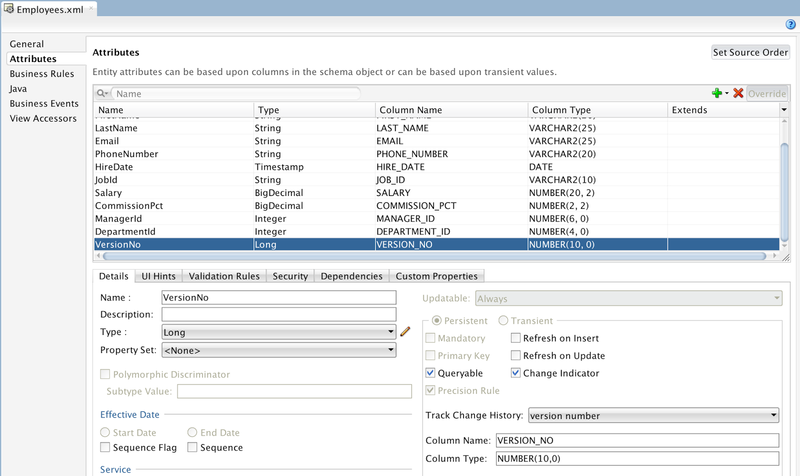 In the first case, we would like to inform a user - row data was changed (two different users changing data). 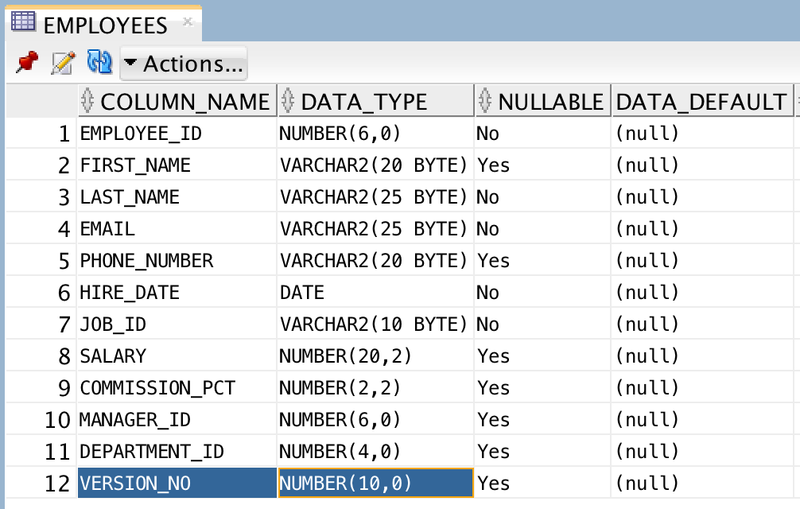 In the second case, there is no need to inform user (data wasn't changed by another real user, it was changed by PL/SQL function/procedure invoked in the same session). 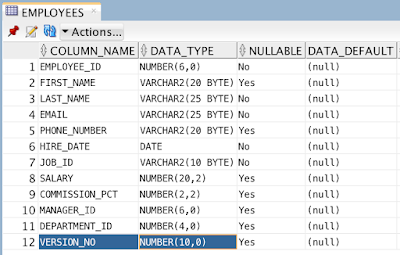 Download sample application (make sure to create manually VERSION_NO(10, 0) column in the EMPLOYEES DB table) - ADFChangedRowApp.zip. 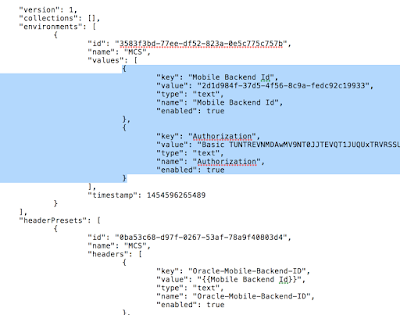 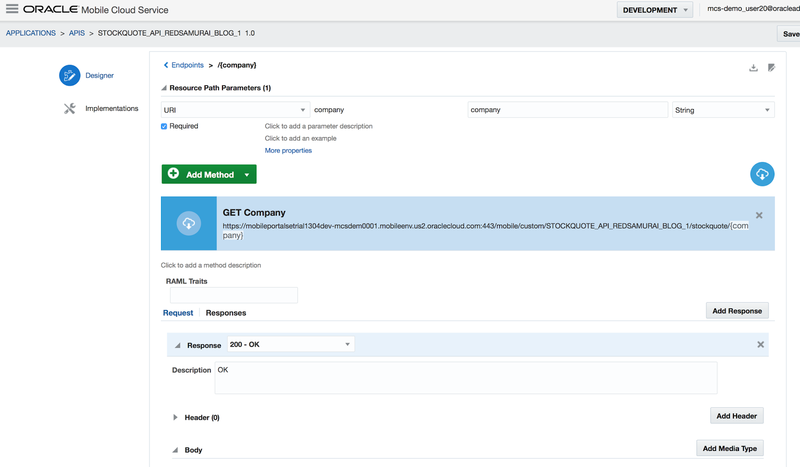 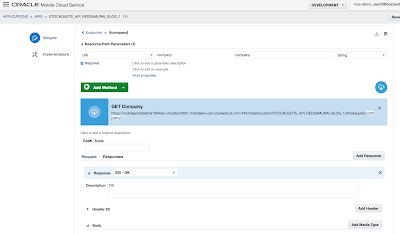 Do you want to test in your environment REST service running on Oracle MCS cloud? I have implemented public REST service hosted on Oracle MCS, you can call it from Postman application (Google Chrome extension). 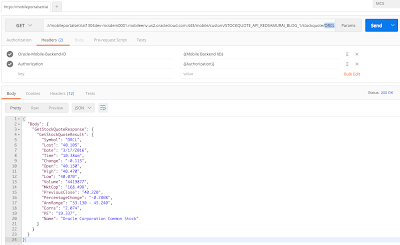 Implemented use case - SOAP Connector in MCS is reading Stock Quote information for the company supplied in the request. 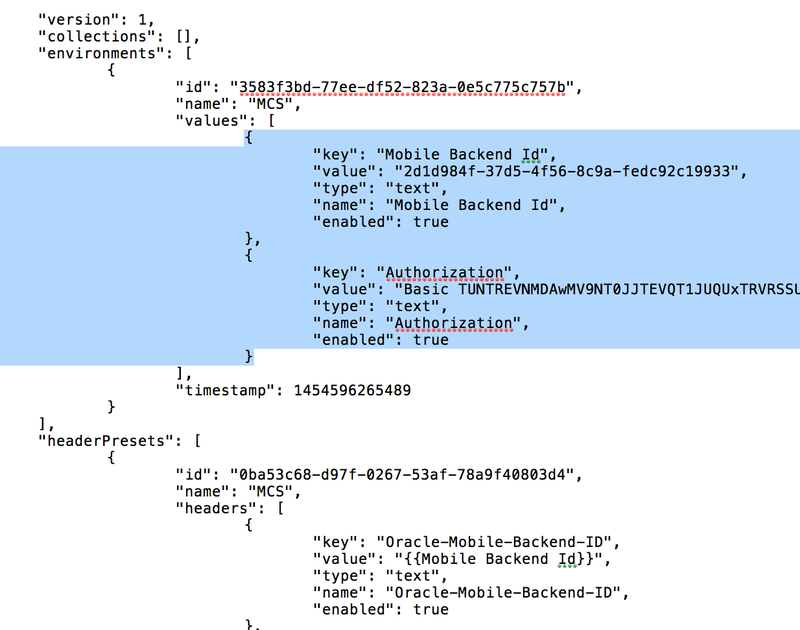 Information is transformed by MCS Custom API (with Node.js) into REST structure and returned to the client through MCS Mobile backend. 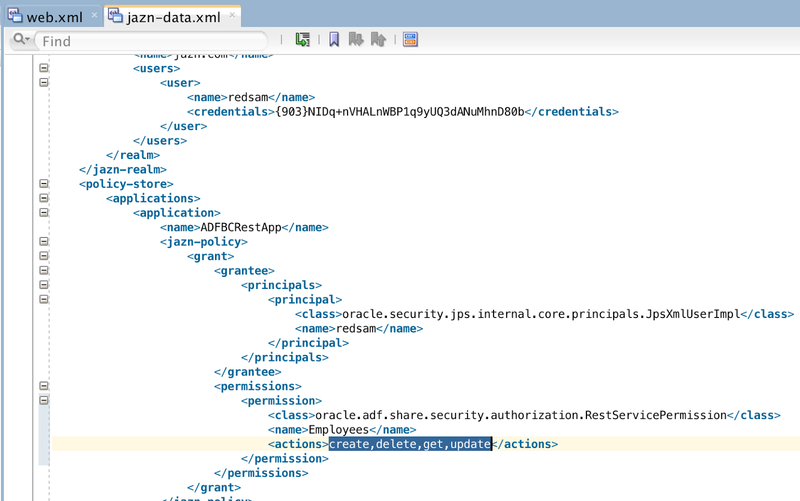 I would like to post slides from my session on Oracle Fusion Middleware Forum - Oracle JET and WebSocket. 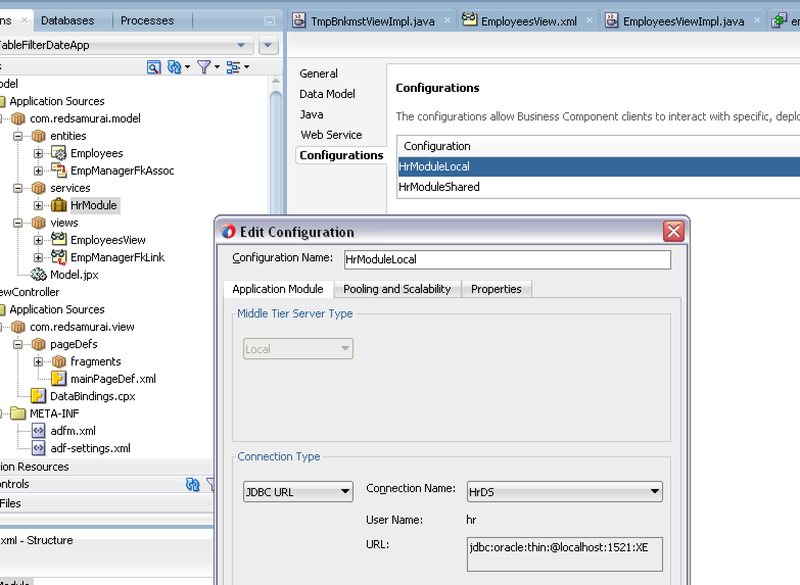 This session was done today. 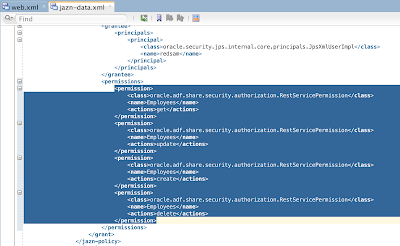 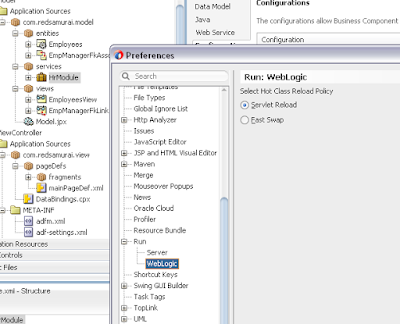 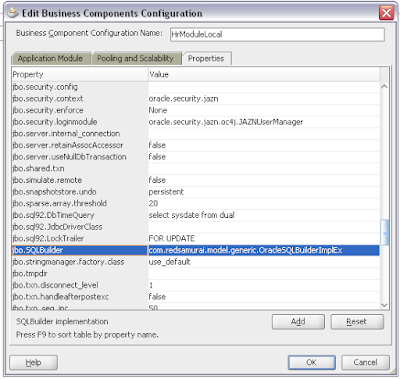 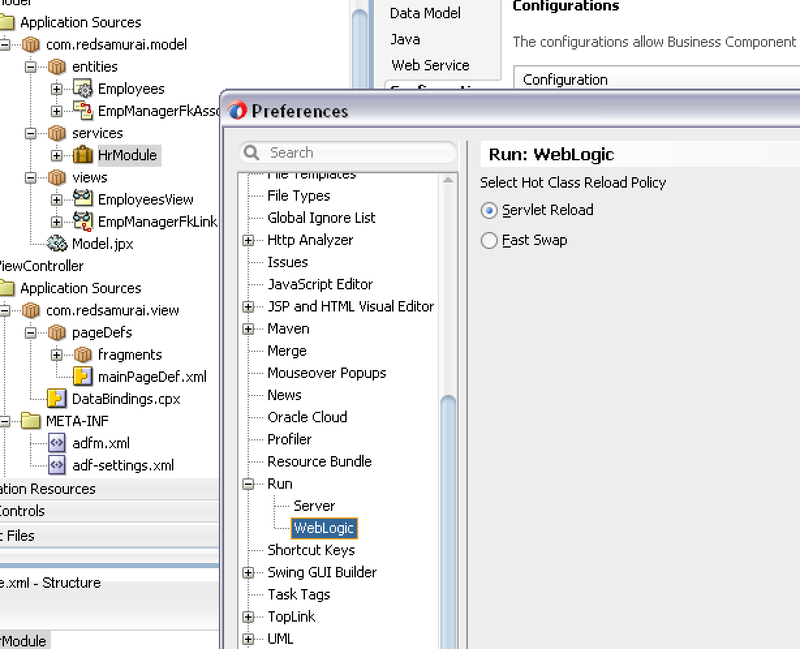 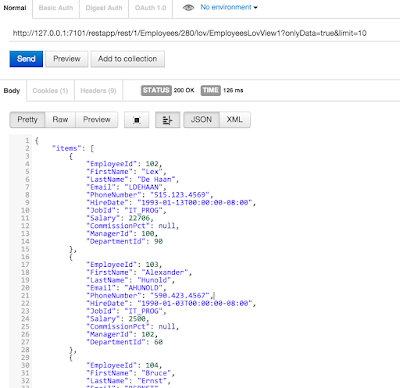 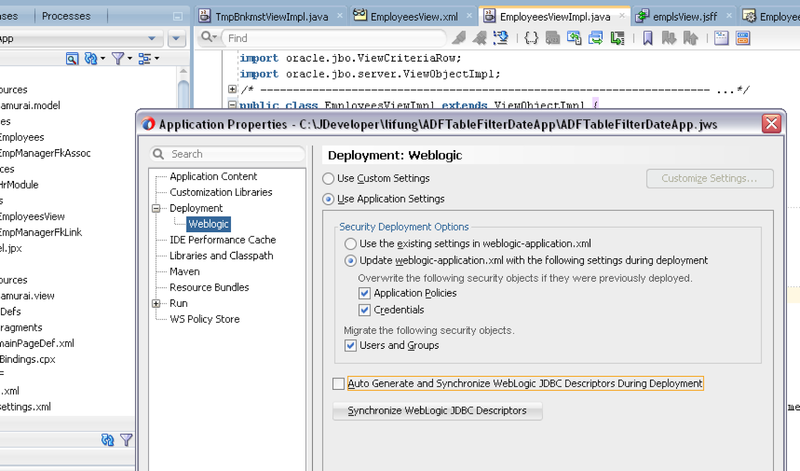 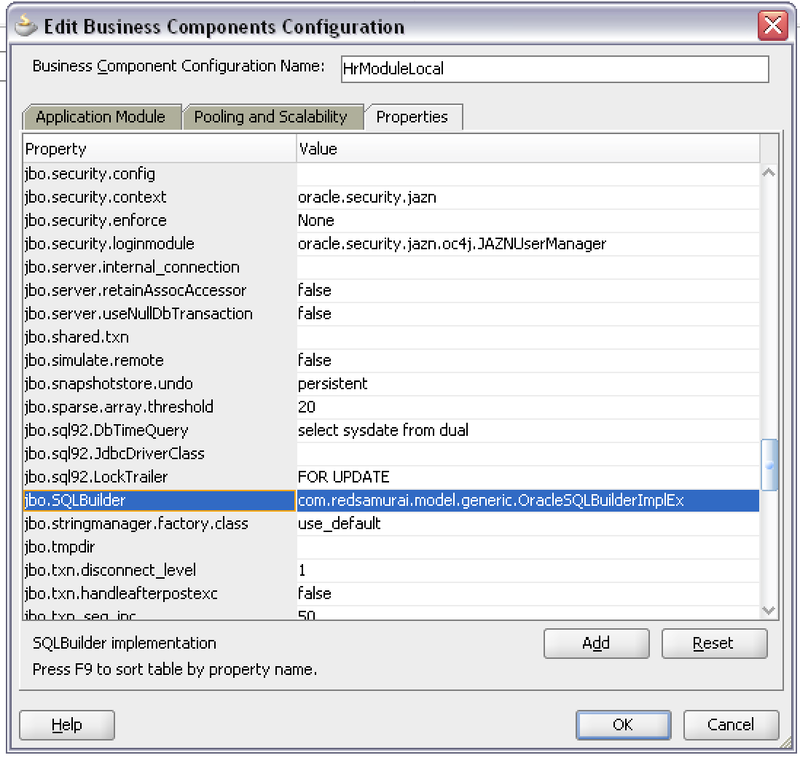 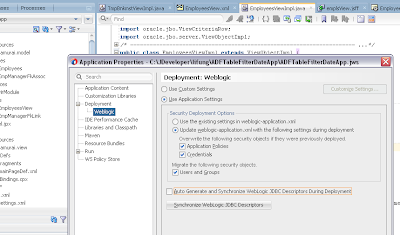 Sample application used for the demo, can be downloaded from here (it consists of three parts - WebSocker server implementation, ADF BC tester application to generate continuos DB updates and JET application) - Oracle JET Live List with WebSocket. 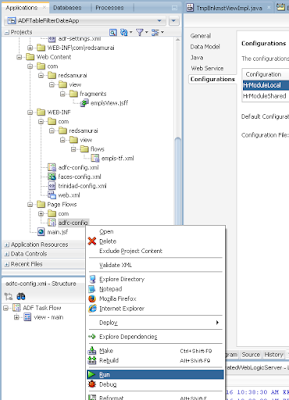 ADF application with live data DVT component rendered in JET can be downloaded from here - When JET Comes To Rescue - Live Data Charts in ADF. 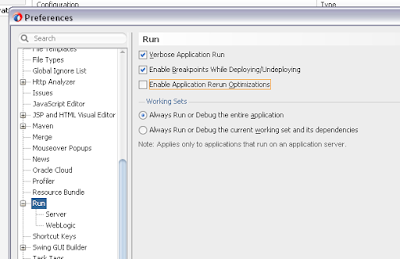 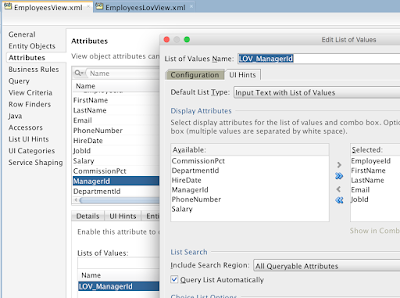 ADF BC REST service out of the box supports LOV list data. 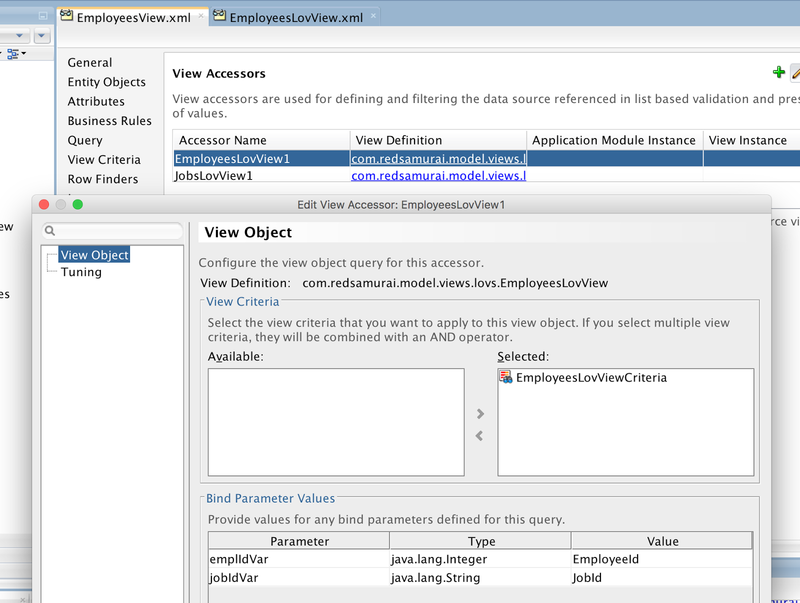 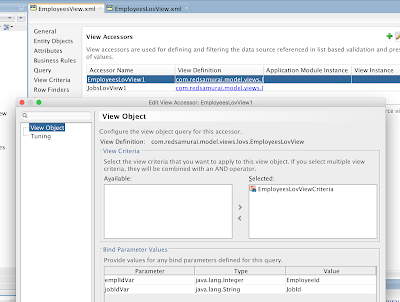 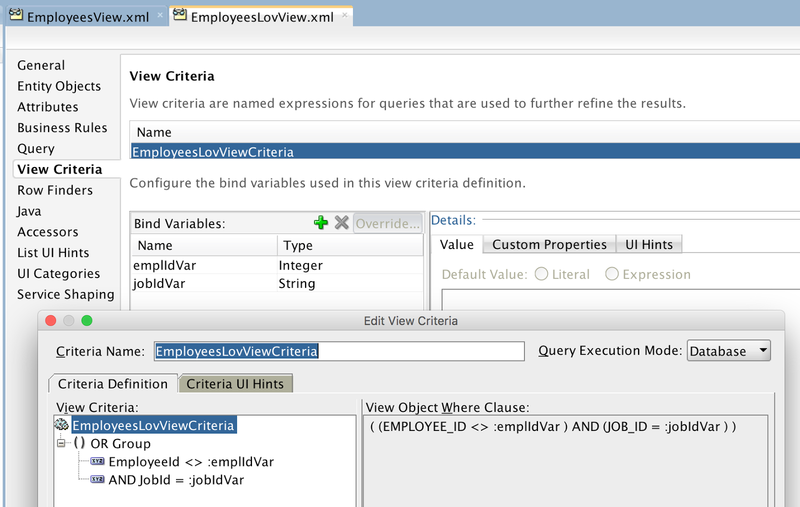 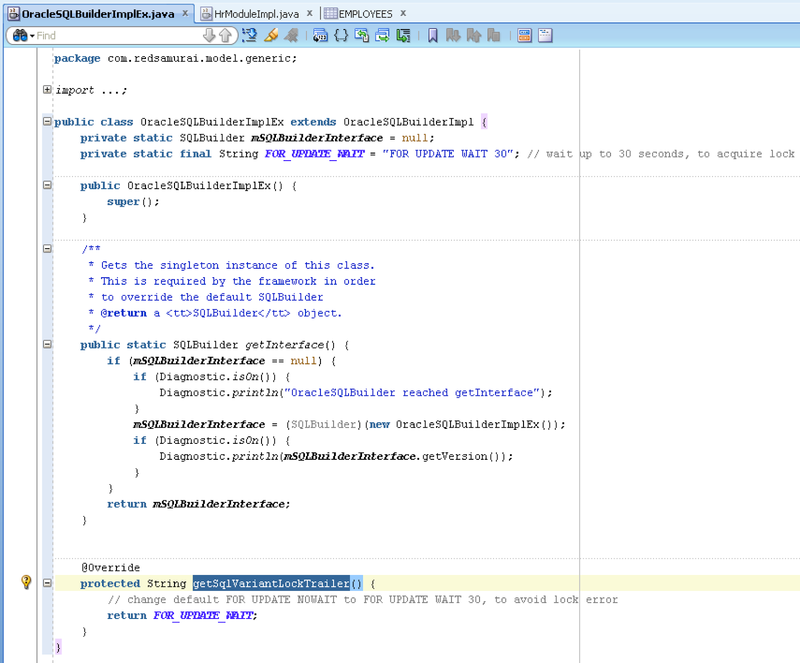 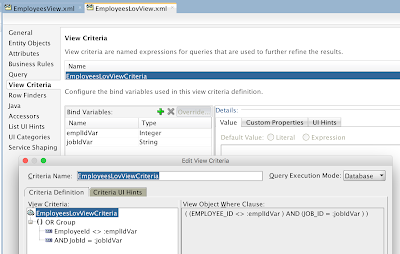 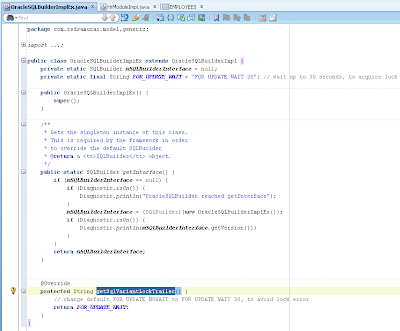 You can define LOV for ADF BC View Object attribute and use it straight away in REST service. 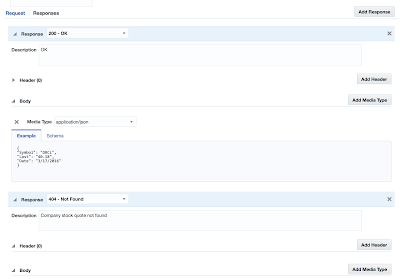 This is especially useful when LOV list is filtered based on other attributes from current row - no need to collect and send these attributes to the service separately, filtering logic will be handled for you in ADF BC backend. 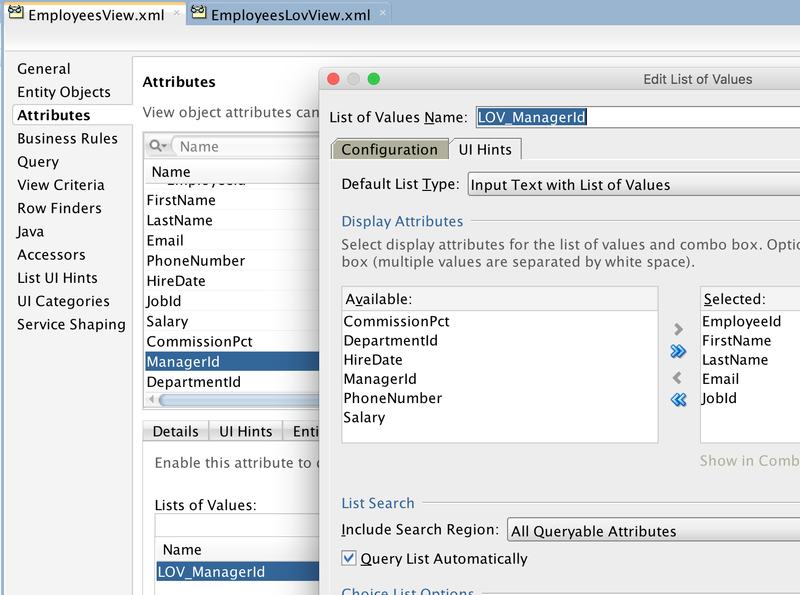 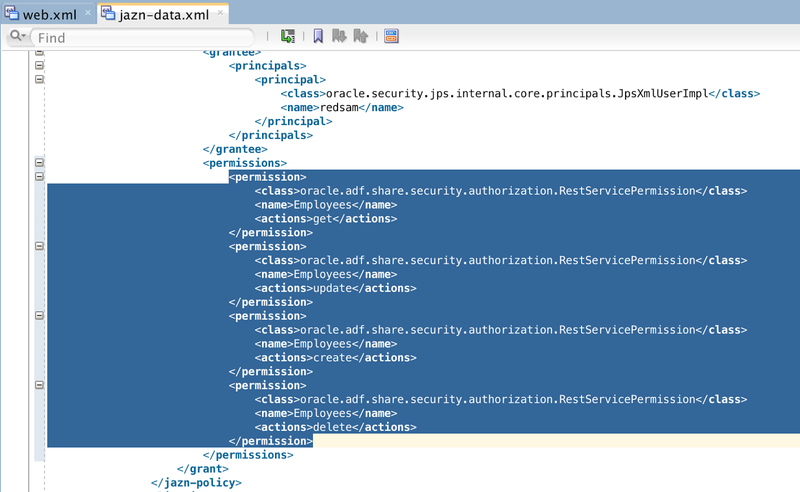 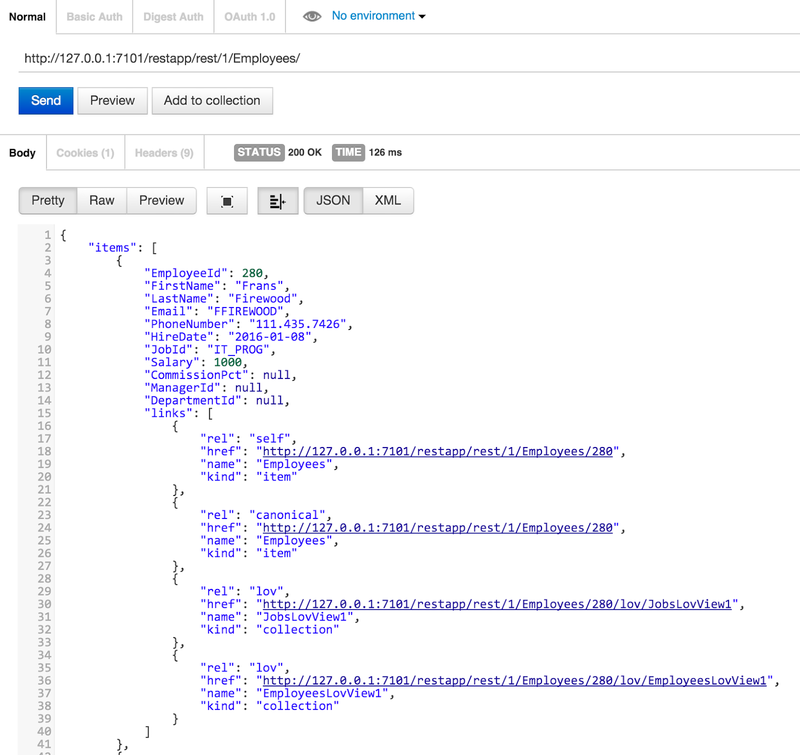 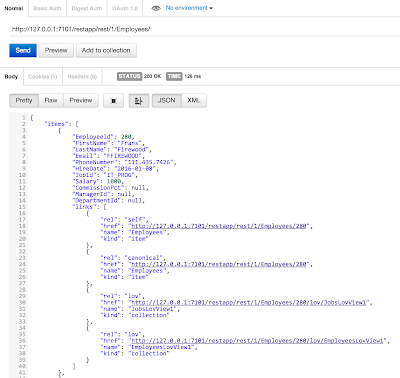 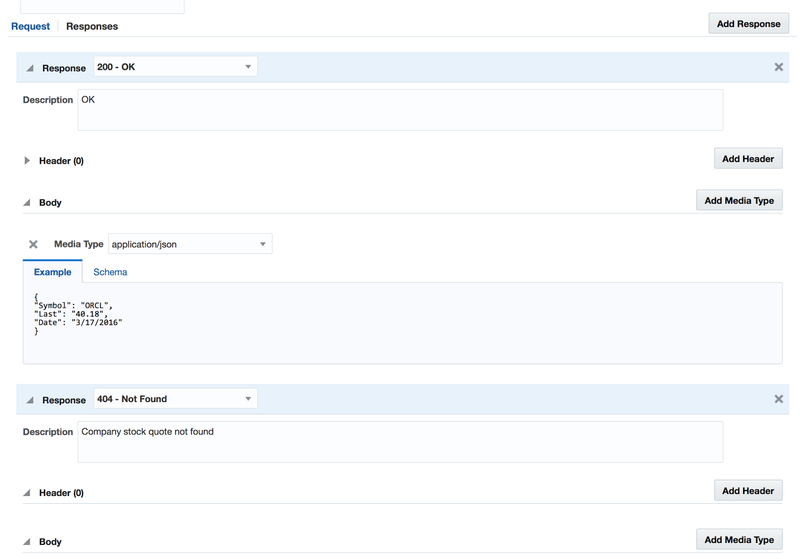 One more benefit - you can reuse existing ADF BC with LOV's implementation and expose it through REST service. 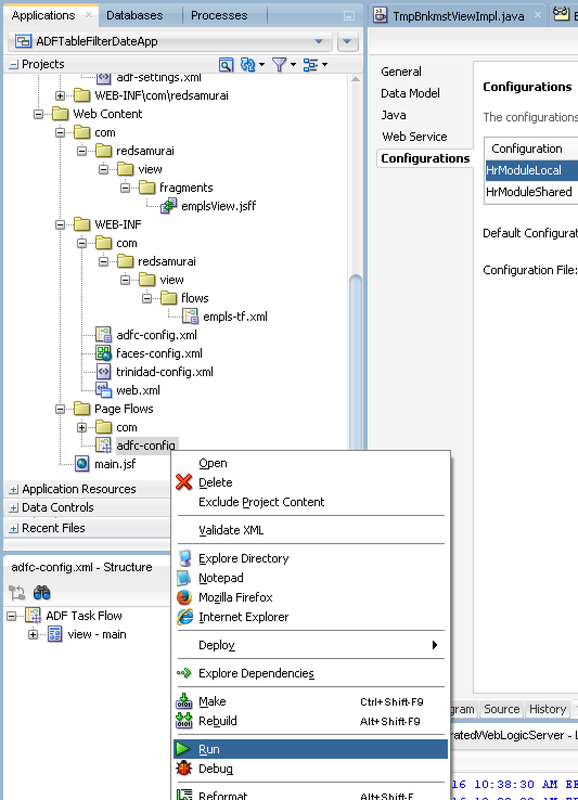 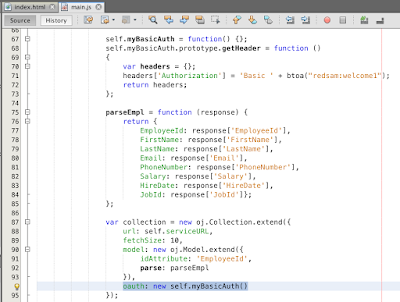 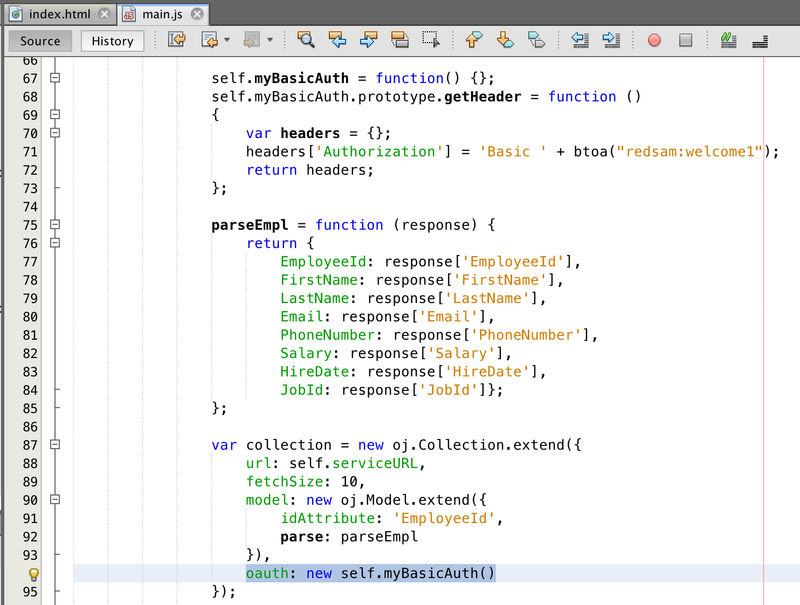 As you see, it is pretty easy to reuse ADF BC LOV's in REST service. 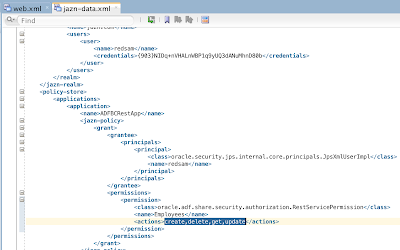 Download sample application - ADFBCRestApp_v6.zip.